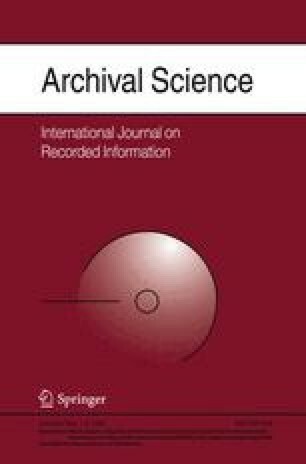 This paper seeks to address, from the critical perspectives of cultural heritage discourse, the issues at stake in critically apprehending the archive as both a technology of disinheritance and one of potential inclusion and re-inheritance. The first section draws on the work of Jacques Derrida, Edward Said and other critics whose work has sought to address the marginalizing capacity of dominant European/North American archival and cultural–museological institutions. The remainder of the paper grounds these conceptual–ethical issues in the context of Palestinian cultural politics and memory-work. This critical framework is used not only to draw out the absences and silences in archives and cultural institutions, and the epistemological and ‘real’ violences at play in what Derrida characterises as ‘archive trauma’, but responds to Said’s call to ‘re-read’ the colonial archive ‘contrapuntally’ in order to create an ‘othering’ of dominant archival discourse. What is needed to provoke such an ‘othering’ is a commitment to rethink the archive in terms of alternative understandings of ‘hospitality’, ‘memory-work’ and what Derrida has referred to as ‘heritage dignity’. This strategy is capable of apprehending in greater depth the moral-ethical ‘debts’ and ‘duties’ and the operational ‘responses’ and ‘responsibilities’ towards ‘inclusion’ and towards full recognition of those constituencies which have been disenfranchised or exiled outside the realms of dominant cultural–institutional discourse.